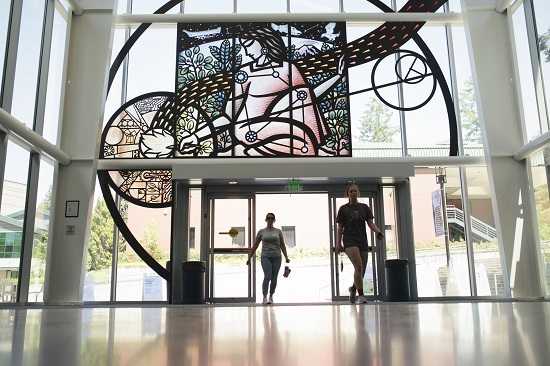 This year, South Puget Sound Community College is delighted to welcome 16 additional members across four divisions to the ranks of its full-time faculty. While some faces may be familiar and others brand new, they all bring a valuable diversity of backgrounds, education, and life experience to the college community. Adam received his Associate of Science in Mechanical Design and Drafting Technology from Green River Community College and his Bachelor of Science in Mathematics from University of Massachusetts. Andy received his Associate in Applied Science degrees in IT- Desktop Support and Computer Network Administration from South Puget Sound Community College and his Bachelor of Arts in Education and Mathematics from The Evergreen State College. Andrew has worked part-time for the college since September 2013. Brian received his Associate of Applied Science degree and Automotive Certificate from South Puget Sound Community College. Brian has worked for the College since April 2017. Gordon received his Associate of Arts and Sciences in Pre-Medicine from Lower Columbia College, his Bachelor of Science in Computer Science and Game Development from Malmo University and his Master of Science in Software Engineering from Lund University, Lund Institute of Technology. Cameron received his Bachelor of Music Education from University of Colorado and his Masters of Music in Conducting from University of Illinois. John received his Bachelor of Arts in Music and Master of Music in Choral Conducting from Rutgers University and his Doctor of Musical Arts in Choral Conducting from University of Miami. Jolynn received her Bachelor of Arts in English from John Brown University, her Master of Arts in English from The Queen’s University Belfast and her Master of Arts in Anthropology from University of Alabama. Kiffen received her Associate of Arts from Wenatchee Valley College and her Bachelor of Arts and Master of Arts in English from Central Washington University. Kiffen has worked part-time for the college since January 2014. Annette received her Associate Degree in Nursing from Grays Harbor College and her Bachelor of Science and Master of Science in Nursing from Western Governors University. Emily received her Associate of Arts from South Puget Sound Community College, her Bachelor of Science in Mathematics from Saint Martin’s University, and her Master of Science in Mathematics and Mathematics Education from Montana State University. Jessie received her Bachelor of Arts in Psychology and her Master of Science in Nursing from Pacific Lutheran University. Rembrandt received his Bachelor of Arts in Biology from Pomona College and his Doctor of Philosophy in Microbiology from University of Washington. Rembrandt has worked for the college since January 2015. Sailaja received her Master of Science in Chemistry from University of Madras, her Master of Science in Organic Chemistry from New Mexico State University and her Doctor of Philosophy in Organic Chemistry from University of Georgia. Adam received his Bachelor of Arts in English Literature from Northwestern University and his Juris Doctor from University of California, Berkeley School of Law. Elena received her Bachelor of Science and Master of Science in Economics, Business and Accounting from The Urals State University of Economics and her Master of Business Administration and Doctor of Education from The University of Montana. Emily received her ACF Certified Culinary Certificate from Renton Technical College. Emily has worked for the College since September 2016.